Perhaps more than any other athlete, runners require a strictly regimented diet that provides them with the optimal nutrition to keep them lean, while still providing enough protein to help facilitate the recovery of their muscles after a strenuous run. Given that, there are a few foods that are particularly well-suited for runners and should have a starring role in their diets. Forget the eternal debate over which came first, the chicken or the egg. For runners, all that matters is that both are excellent sources of low-fat protein. In addition, egg protein is one of the best sources you can find. It’s loaded with more amino acids than any protein source other than human breast milk. Eggs are also loaded with vitamin K, which is not easily found in other foods. Vitamin K is great for strengthening bones and joints, a very important consideration of runners. Chicken is another great source of protein and also one of the easier meats to include in a variety of meals, be with salads, stir-fries, pasta or sandwiches. Another great low-fat protein source (as are most fish), salmon does however come loaded with essential omega-3 fatty acids. Omega-3 is vital for balancing the overabundance of omega-6 many people have in their diets, thus reducing inflammation. Like chicken, salmon can also be included with salads, pasta, sandwiches, and the like. Runners do need some carbs in their diet to help them recover, and whole-grain pasta is a great source. Whole grains are higher in fiber than refined pasta, meaning you’re less likely to overindulge but you’ll still get all the carbs (and energy) you need following a good run. Lastly, and perhaps some would think most surprisingly, is chocolate. 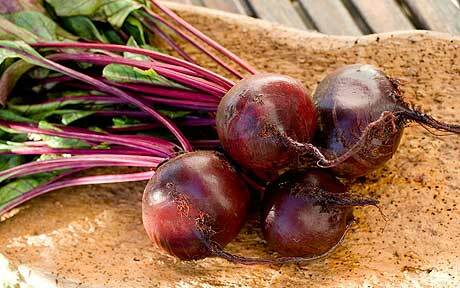 This powerful antioxidant is loaded with flavonols, which lower inflammation. Chocolate is also a great source of protein, while simultaneously lowering LDL (bad) cholesterol. Chocolate should be ideally eaten in dark form, which is higher in flavonols than milk chocolate. Another great source of chocolate is in whey form. It provides all the benefits of chocolate without one of chocolate’s biggest drawbacks: the high sugar content. No matter the form, chocolate makes a great snack in the runner’s diet that they need not feel guilty over, and in fact should be happy to indulge in daily.